Jazz features all the accuracy benefits of XX75 alloy and comes in sizes all the way down to 1214 to outfit any beginning archer. A classic camo style with precision and strength, in a long list of available spines. Super strong 96,000 psi (pounds per square inch) 7075-T9 alloy with hard anodized 4-tone camo and easy draw finish. Aluminum UNI bushings and nocks installed, inserts included. 1816 and 1916 models use X nock, other models use Super nock. Enjoy all the benefits of aluminum arrows, straightness, toughness and good mass weight in a natural wood arrow look. These are full length uncut XX75 "Legacy" shafts from Easton Archery. 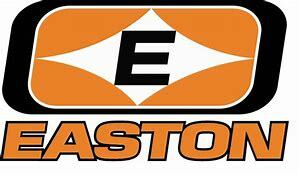 Bowhunters and target archery shooters have recognized the excellent shooting characteristics of Easton XX75's for more than 30 years. If you're looking for the benefits of aluminum arrows and prefer the look of wood, try the XX75 Easton Legacy today. Platinum Plus is a premium, intermediate priced shaft for all levels of recreational and competitive archery. Inspiré is a carbon shaft produced to Easton quality tolerances with a wide range of spines for the beginning archer of any age. Carbon Axis and the appeal of original 1922 Doug Easton Traditional shafting. Nothing beats the look of natural wood grain. A/C technology’s highest performance parallel shaft. Faster, Flatter Shooting – Carbon Fiber, when speed is what you seek. Factory straight high tolerances that are high velocity effective. High value carbon arrows with reduced diameter for more penetration. X7 Eclipse arrow shaft is the World Standard for precision and a perfect tune. Precise spine, consistent weight and incredible straightness.